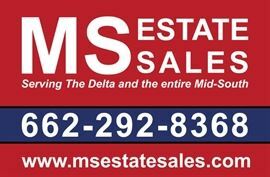 AddressThe address for this sale in Senatobia, MS 38668 will be available after 9:00am on Thursday, April 25th, 2019. •	All sales are final – sold as is where is! •	Payment: Cash, checks and cards. NO FEE on any card purchase. •	Loading is the responsibility of the buyer. We provide limited help. •	All purchases must be removed from the property by end of sale. •	All sales inside MS are charged 7% MS sales tax. •	NO SALES TAX charged in TN or AR unless required. •	No items sold prior to the sale. •	Telephone sales processed after customers in line have entered. •	CUSTOMERS AT THE SALE have priority over telephone sales. •	We are not responsible for accidents. •	THANK YOU FOR YOUR BUSINESS!